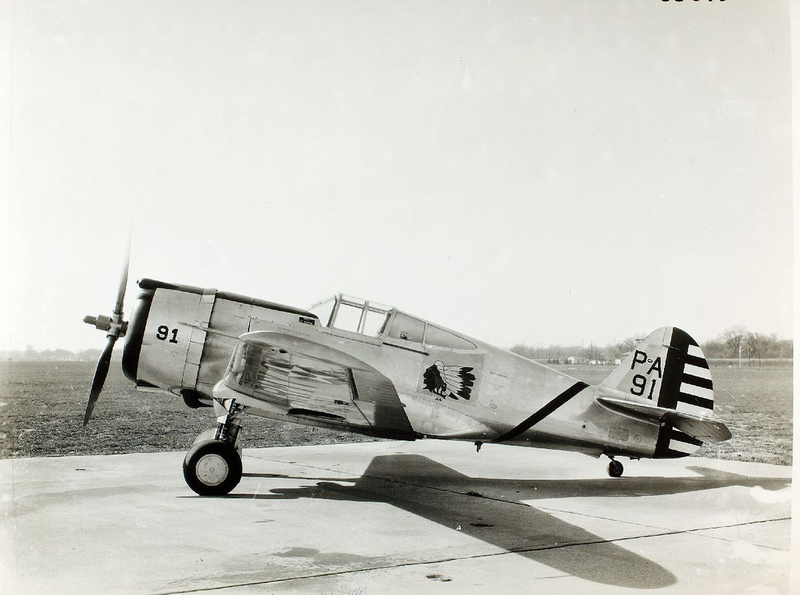 The airplane was a production Curtiss P-36A Hawk, serial number 38-10, which had been modified by replacing its original air-cooled Pratt & Whitney Twin Wasp S1C1-G (R-1830-17) 14-cylinder radial engine with a Harold Caminez-designed, liquid-cooled, supercharged, 1,710.597-cubic-inch-displacement (28.032 liter) Allison Engineering Co. V-1710-C13 (V-1710-19). This was a single overhead cam (SOHC) 60° V-12 engine with four valves per cylinder and a compression ration of 6.65:1. It had a Normal Power rating of 910 horsepower at 2,600 r.p.m. at Sea Level, and 1,060 horsepower at 2,950 r.p.m. for Takeoff. 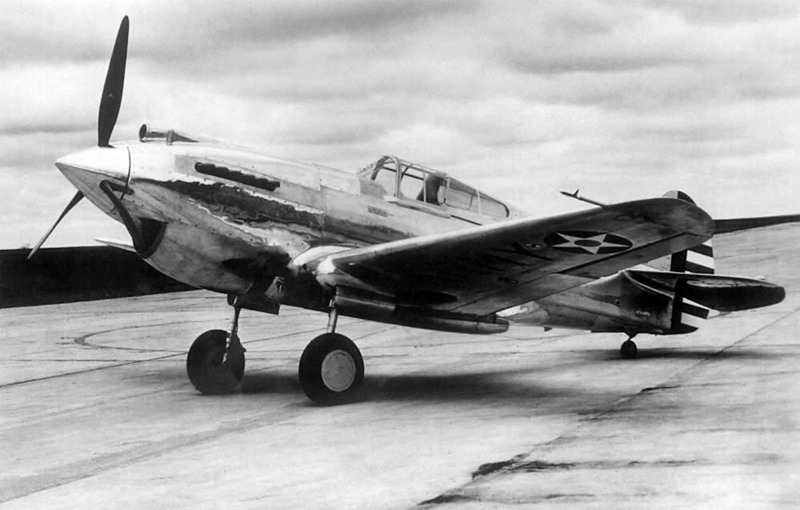 At 10,000 feet (3,048 meters), the V-1710-19 had Maximum Continuous Power rating of 1,000 horsepower at 2,600 r.p.m., and Military Power rating of 1,150 horsepower at 2,950 r.p.m. 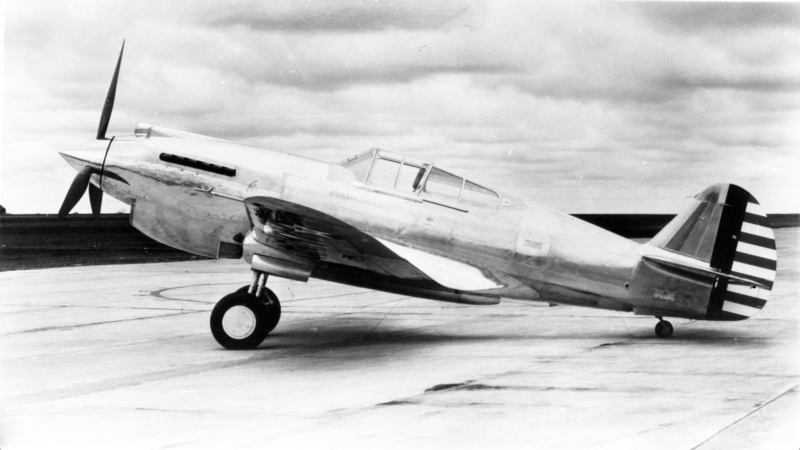 The engine required 100/130-octane aviation gasoline. 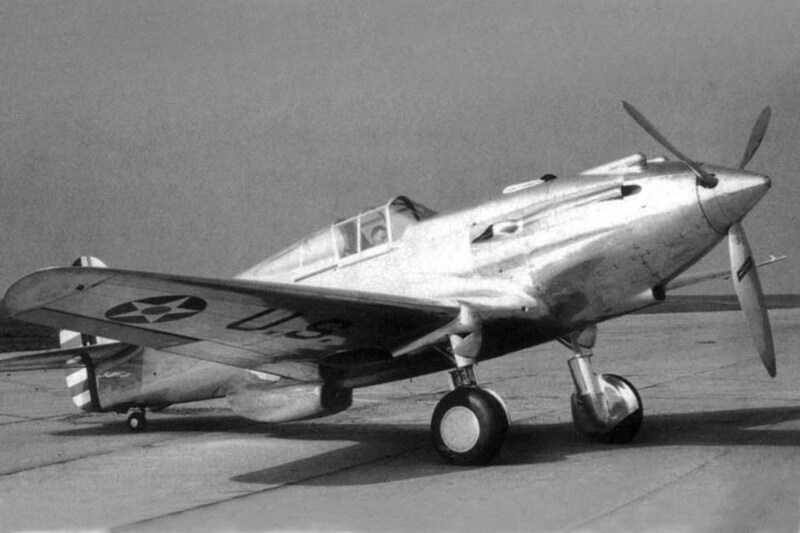 It drove a three-bladed Curtiss Electric constant-speed propeller through a 2:1 gear reduction. 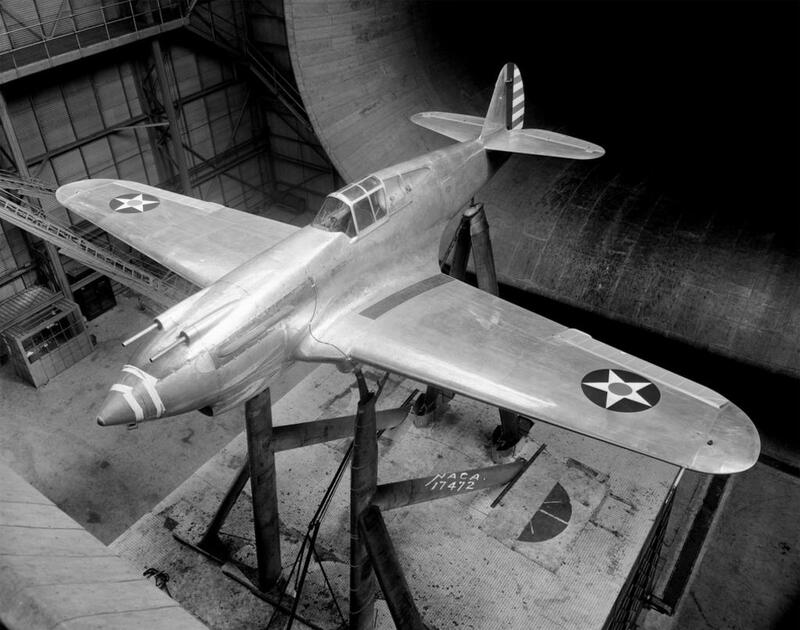 The V-1710-19 was 8 feet, 1.75 inches (2.483 meters) long, 3 feet, 4.75″ (1.035 meters) high and 2 feet, 4.94 inches (0.735 meters) wide. It weighed 1,320 pounds (599 kilograms). Thanks. Great aviation history in Buffalo, New York. 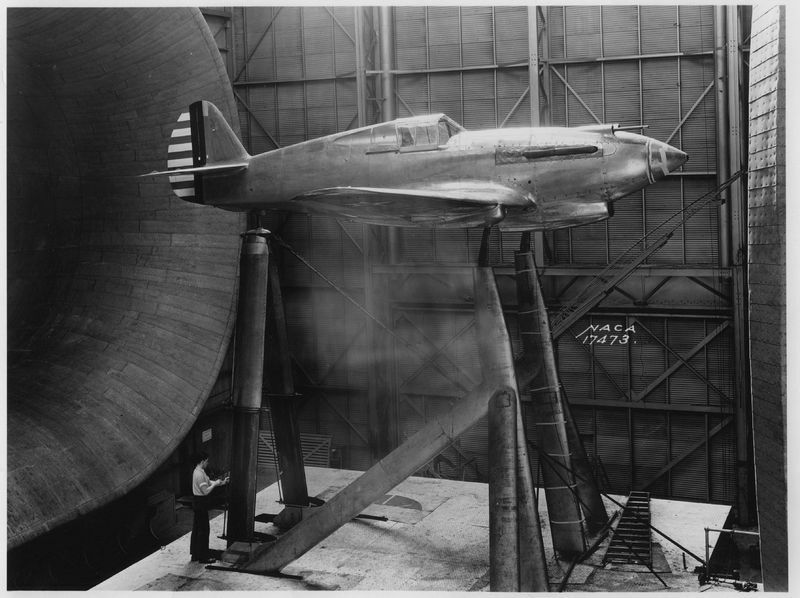 Also the XP-36 was used by the NACA as a test platform for other research including the movable (flying) horizotal stabilizer that was used on the Bell XS-1.